Home » Twin Rivers Dist. P.D. 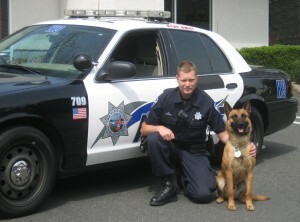 K9 Jag is the first for the Twin Rivers District Police Dept. He is a Belgian Malinois born in 2009 and imported from Mexico. Jag is a willing, spectacularly athletic dog and the trusted partner of Sergeant Arlin Kocher.